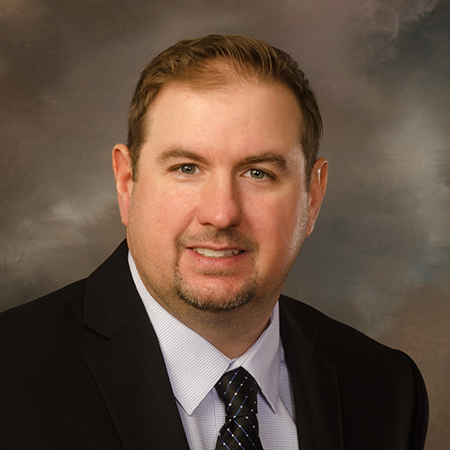 Adam English, NP-C, is a board certified nurse practitioner who graduated from The College of St. Scholastic in 2015. Prior to this, English worked in the Orthopaedic Clinic for two years as Orthopedic Joint Coordinator. He has served CRMC in numerous capacities since 2005 including working in surgery and as a charge nurse on the Transitional Care Unit. His special interests include public speaking, research, and teaching. English relocated to Deerwood from Woodbury, Minn., in 2005 after working as a stereotactic medical technician in neurosurgery at Abbott Northwestern Hospital in Minneapolis. Raised in Wisconsin, he is an avid Green Bay Packer and Wisconsin Badgers fan who rarely misses a game. In his spare time, he loves to ice fish, play softball and golf. Currently, he is working on completing a doctorate in nursing. He and his wife, Angie, have two children, Braylee and Jacob.